This free offer is ONLY valid on Friday, Jan 31st, 2014. No purchase is necessary. 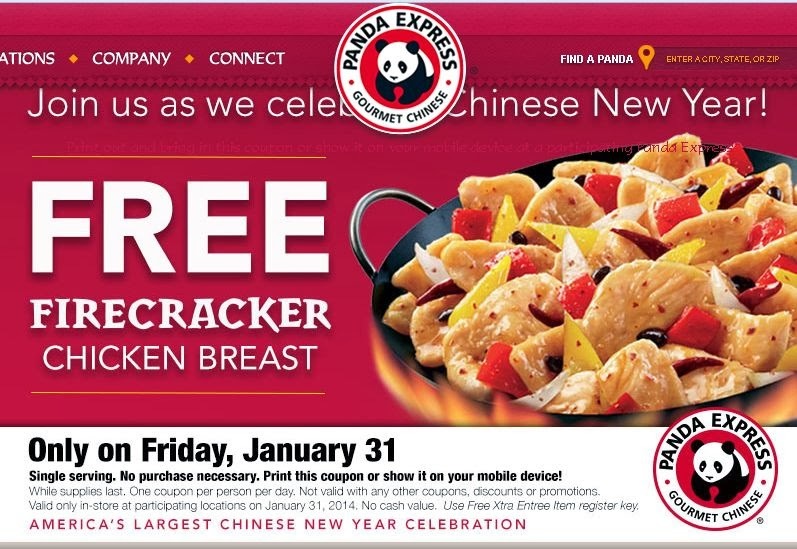 Just click the link below copy the coupon either print it or show it on your mobile device to at your Panda Express to get your free Firecracker Chicken Breast.